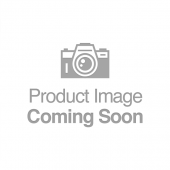 Here at All Round Fun, we have a huge range of trampolines for sale, so if it’s a 4ft junior trampoline or a 15ft family-sized trick-performing arena that you need, we’ve got a product to suit you perfectly. 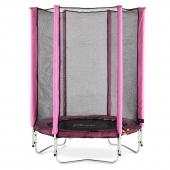 The simplistic pleasure of being propelled into the air repeatedly is something that is enjoyed by generation after generation, so if it’s just good old-fashioned fun you want, check out our range of smaller 5ft kids’ trampolines. 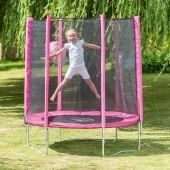 And for those kids at heart, we also stock some impressive 15ft adult trampolines. 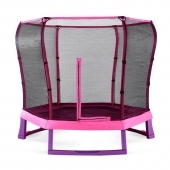 All the trampolines we stock are manufactured by brands that we trust, meaning that they are safe, durable and supplied with full instructions, making them a breeze to construct. We also stock a fabulous range of accessory kits, shoe bags, spring padding and ladders to complement your chosen product. We have a range of cheap trampolines for those on a budget but if you can’t find what you’re looking for, contact us today and one our experts will be happy to help.